THANK YOU GARY GILKEY FOR MAKING THIS VIDEO TO CAPTURE SOME OF THE ACTION THIS WEEKEND! 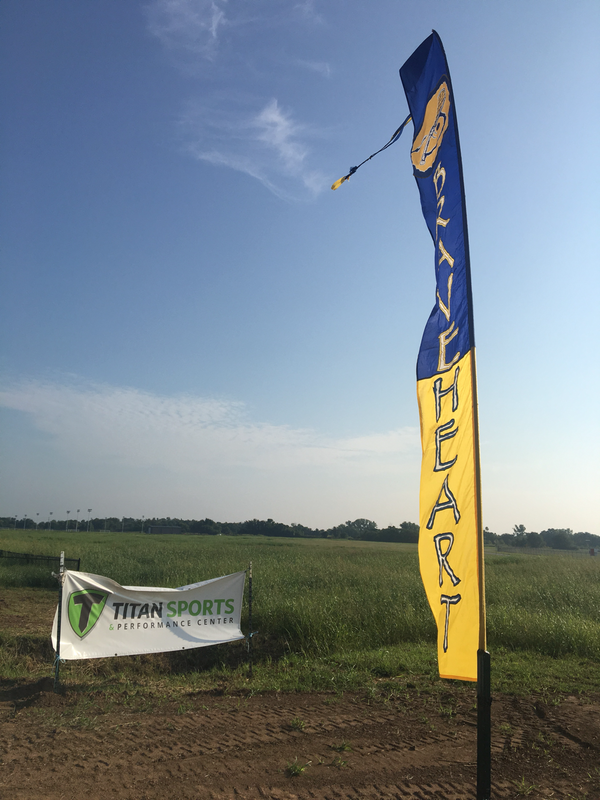 We hope everyone is excited to play in the new Titan Sports Complex next weekend! We have updated the schedule to reflect a more accurate day of how this lacrosse session will go. and then divide teams accordingly. Currently the rosters are up to date, and we will do so over the weekend. In an effort to keep everyone on the same page, this is our new plan moving forward. I think it will still be fabulous at this point in the Development of Youth Lacrosse in Oklahoma. WAIVER - Part of packet Parents will need to sign. 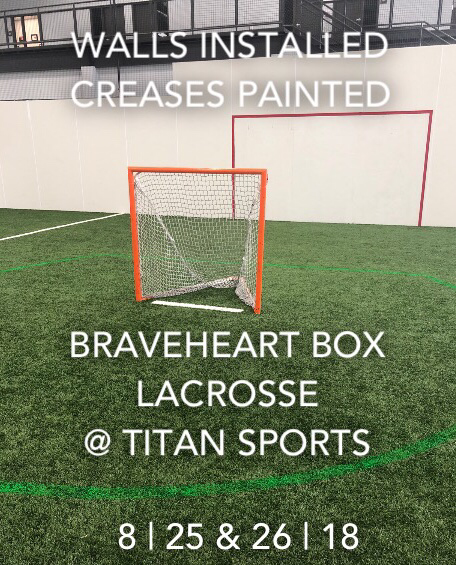 This new format will give your BraveHeart some individual instruction, make new friends and get coached up by Sooners. 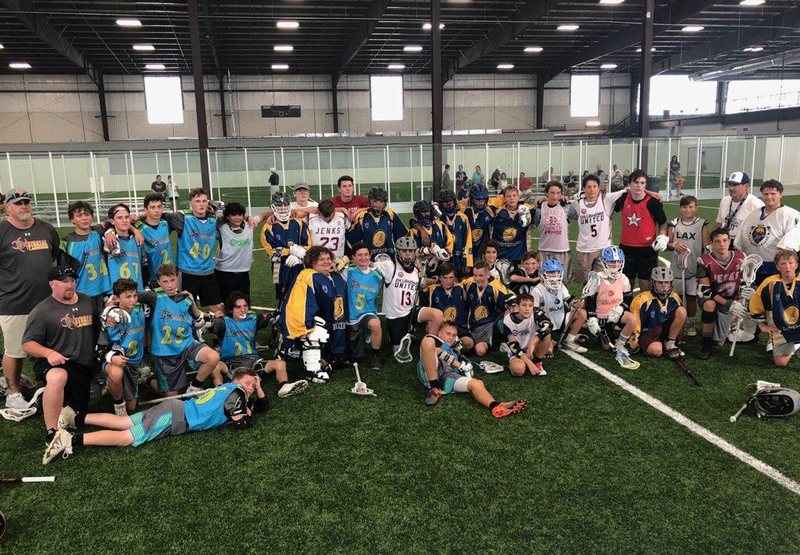 Two Clinics and three games should be plenty of box lacrosse! Players from OKC and Tulsa, OK will be divided into teams after some initial morning clinics to review Rules, Substitution Patterns, Offense & Defense differences from field. Goalie play and individual stick skills, two-man game will be points of emphasis. This summer tournament features Boys in 7th, 8th & 9th grade in school. 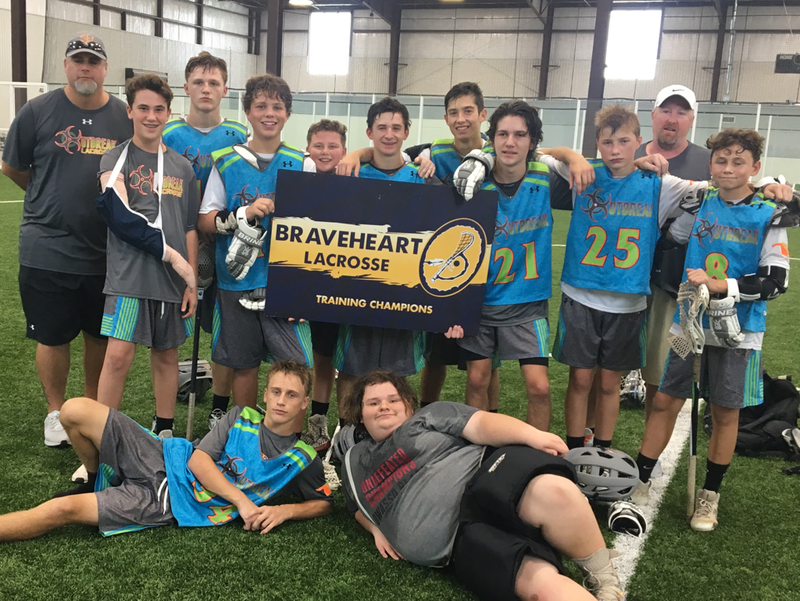 Travel teams from Tulsa including Oklahoma F5 Outbreak directed by Coach Jason Green, Dustin & Dalton Bunch will be competing against BraveHeart Lacrosse from Oklahoma City, OK directed by Mario Enea, and his staff of OU lacrosse players. 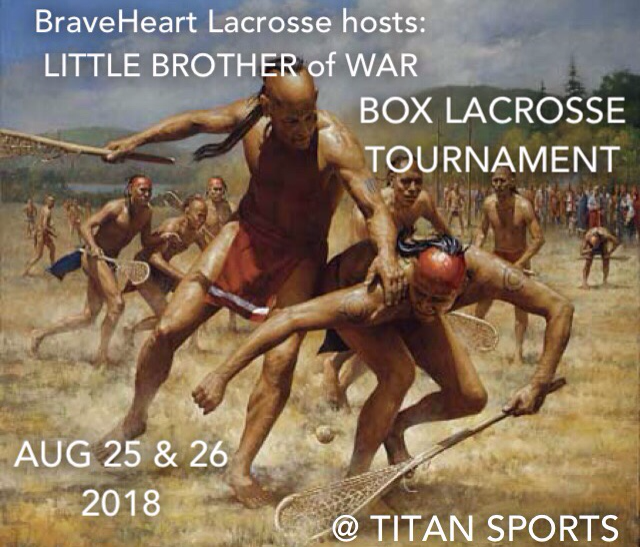 All participants in the Little Brother of War will attend one BOXLA clinic, one BOXLA practice and five BOXLA games. 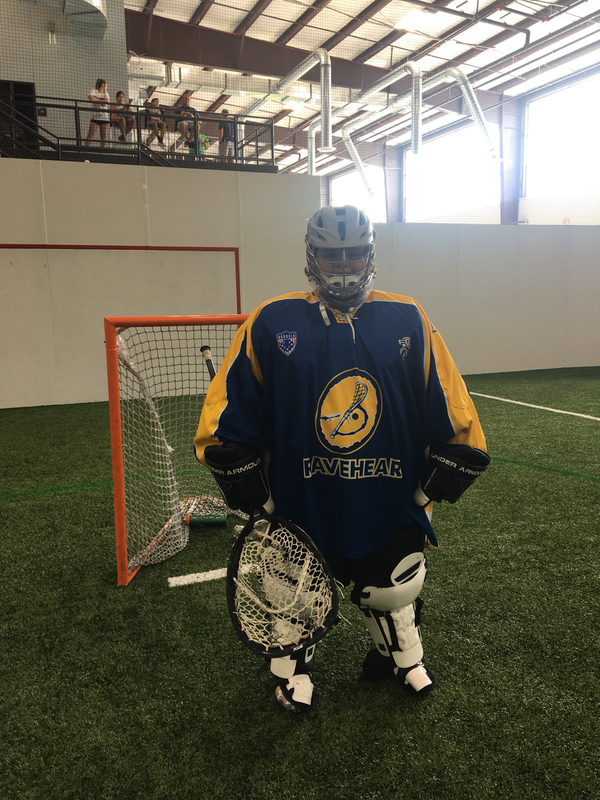 BOXLA is played on a truncated indoor field similar to indoor soccer or hockey rinks with dasher boards and turf, tile, or cement as flooring. BOXLA Goals are tiny at only 4 x 4 ft (vs field 6x6ft) and goalies look like the Michelin Tire mascot with all their gear. Shooters can’t see net in some cases, so in order to score, players need to fake the goalie and move him up and down and side to side. All this happening with no open space to run creates, an action packed style of play that has triple the action of a field game. All Player Clinic begins at 10:30am, All Player Practice begins at 12:30pm and Games between four teams will begin at 130 - 5pm on Saturday. Sunday games begin at 10:00am with the Championship game from 1- 2pm. Please join us for the 1st Annual Lacrosse Coaches Round Table. 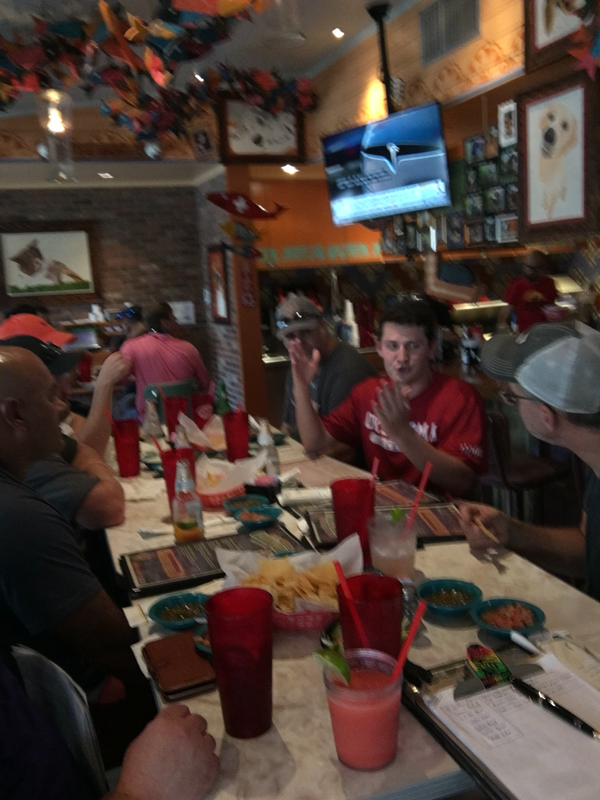 University Head Coaches Mario Enea (Oklahoma) and Dustin Bunch (Oklahoma State) invite any local lacrosse coaches to participate in a roundtable discussion and forum. This will be a ninety minute event to meet and greet each other, provide coaching tools to improve your players, team and overall programs. 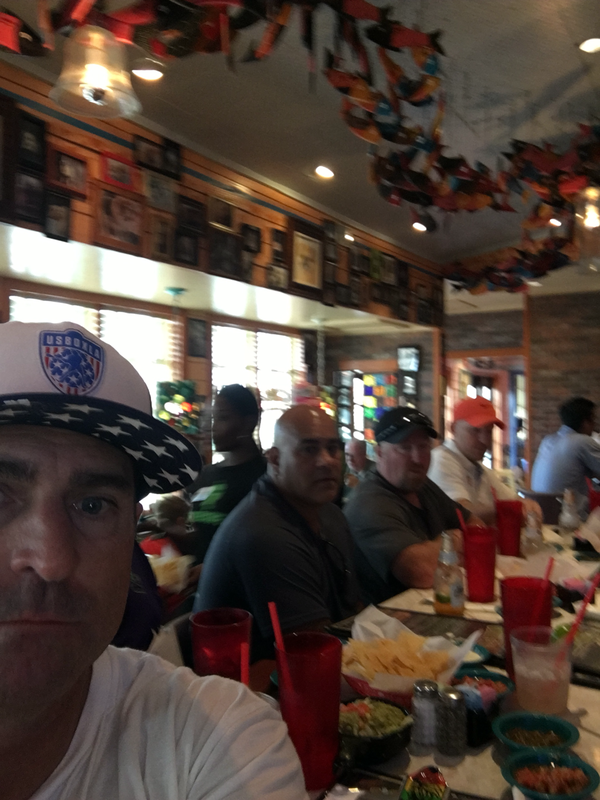 We hope to create a dialogue between the College and high school programs in order to provide a direct contact for your players and families, how we can fill in some play dates this Spring organized around University games, and spring, summer, fall, and winter tournament options for the total available lacrosse market. 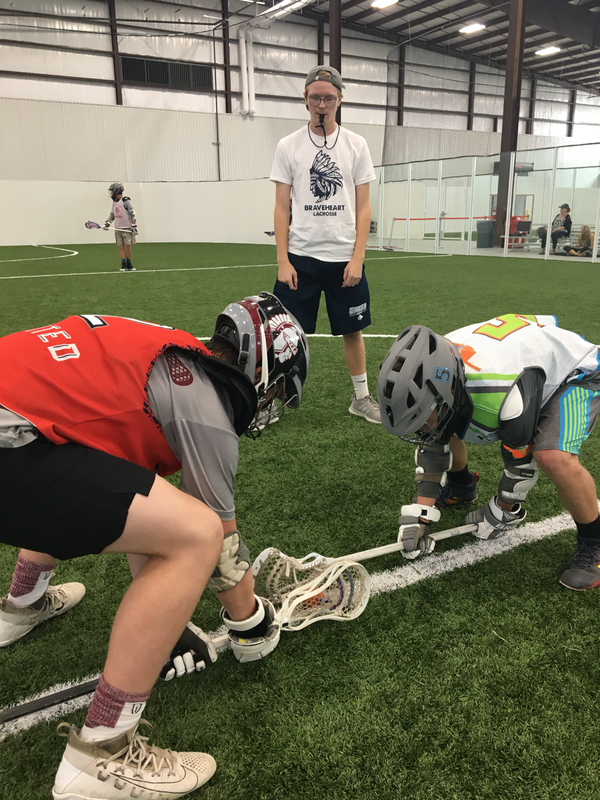 Help Lacrosse continue to grow, improve programs and multiply from 18 schools over 5 year plan by focusing on football/fall athletes playing lacrosse in the Spring. CONGRATULATIONS to OKLAHOMA F5 OUTBREAK CHAMPIONS! CANADIAN STYLE BOXLA FACE OFFS! GOALIE B HANCOCK PLAYED AWESOME ALL WEEKEND!